Cutaneous myxomas generally present on the trunk, extremities and head and neck region. 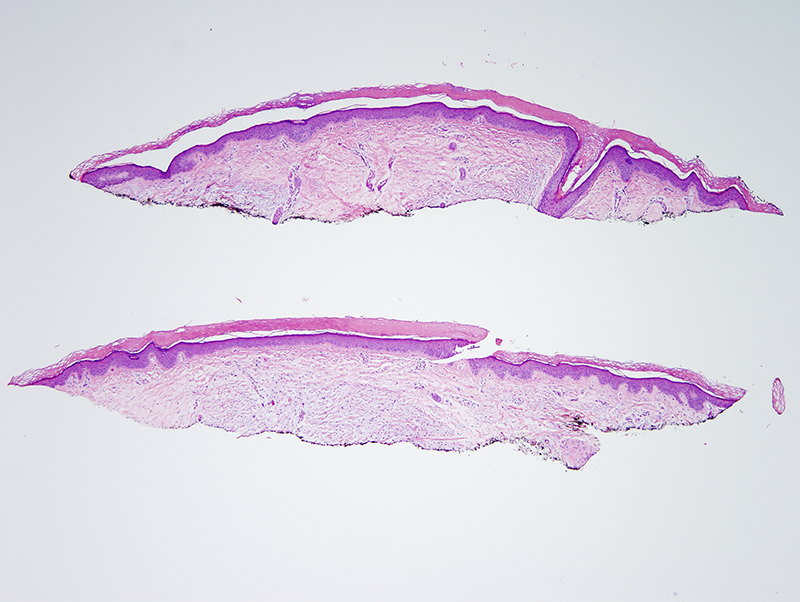 They are typically small and situated within the dermis. 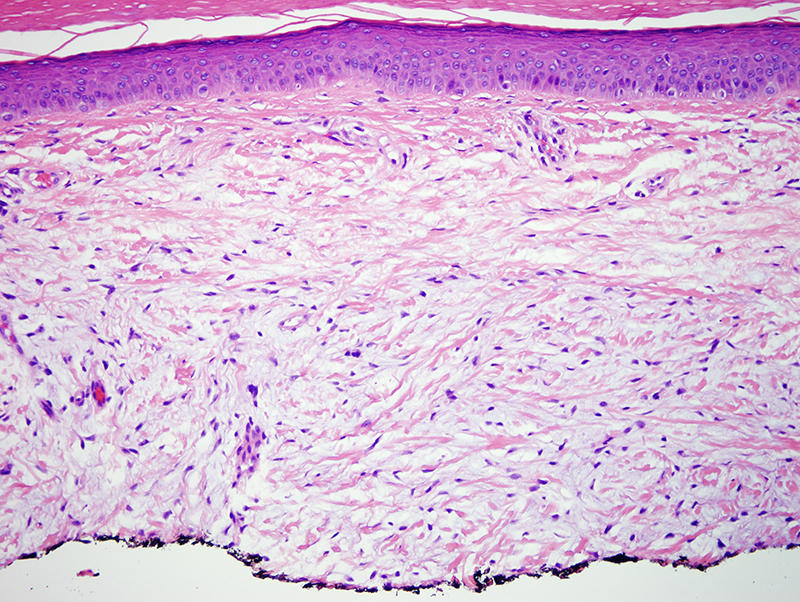 Cutaneous myxomas are benign tumors but do have a tendency to recur. When present as multiple lesions involving the eyelids and external ear, the possibility of Carney complex should be entertained. 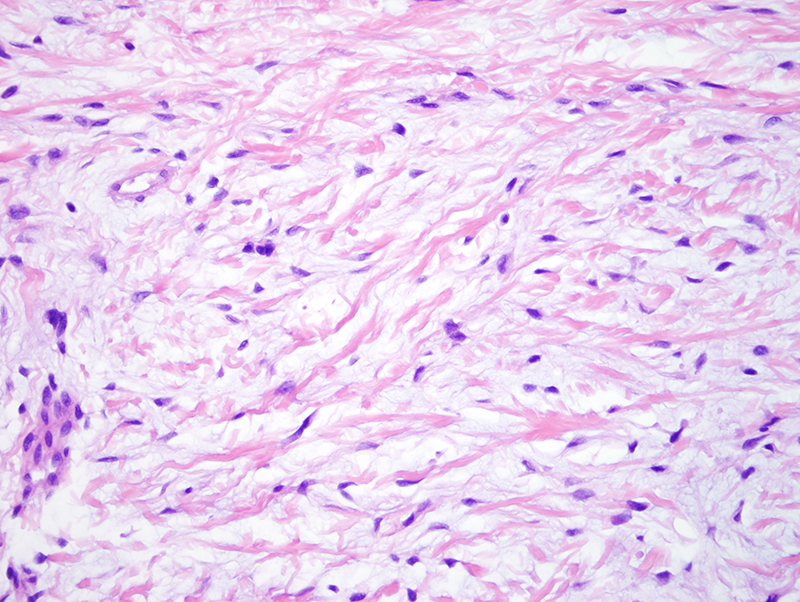 Carney complex is characterized by multiple mucocutaneous and cardiac myxomas, endocrine dysfunction and lentiginosis. 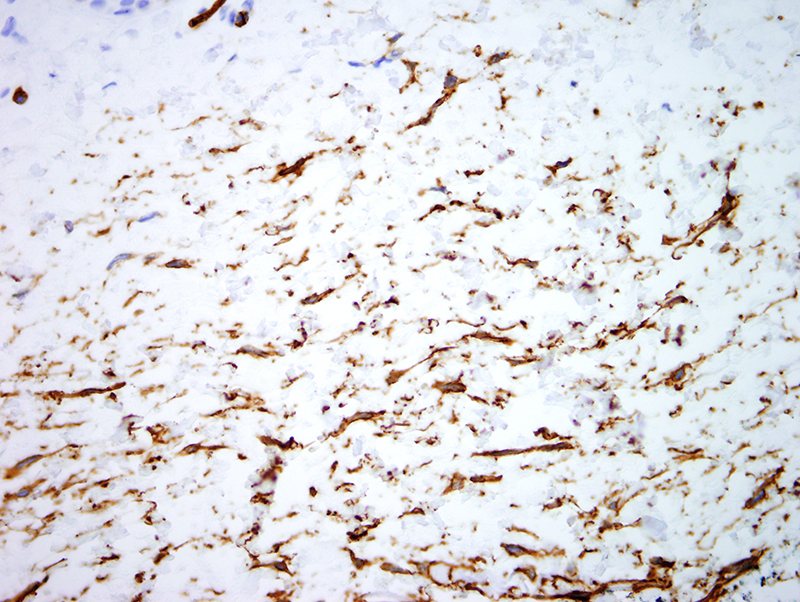 Mutations in the PRKAR1A gene are implicated in most cases of Carney complex.